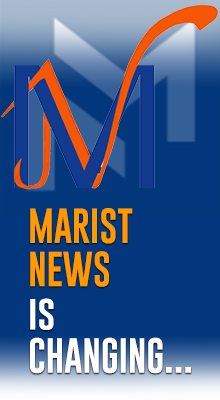 Bulletin 48’s interview with Brother Pedro Herreros and our request for news from Marist fraternities have stirred interest in getting to know the makeup and goals of these fraternities. On October 15, 1991 Brother Charles Howard, Superior General at that time, published a Circular entitled The Champagnat Movement of the Marist Family, a grace for all, In an appendix to that letter, he included a Plan of Life for fraternities. In this Bulletin we present the entire text of this Plan. To find out more about the Champagnat Movement and its Plan of Life, you’re invited to visit a Marist community in your area. 1. Its source and inspiration. The Holy Spirit is stirring up lay people in the Church today, sparking a new response to their vocation as followers of Jesus and sharers in His mission of evangelising the world. As a result, numbers of people closely associated with the Marist Brothers around the world asked the Brothers to help them make their personal, daily commitment more profound and concrete. They want to share more fully in the spirituality and sense of mission which the Brothers have inherited from their founder, Blessed Marcellin Champagnat. Marcellin Champagnat was one of a group of seminarians who banded together in 1816 to found the Society of Mary. Their aim was to help in the renewal of the mission of Jesus and His Church, following the French Revolution. Marcellin was a man blessed with a powerful sense of Gods love for him, of being personally loved by Jesus and Mary. He was also very open to people and their needs. These two qualities led him, early on in his ministry in the village of La Valla, to realise the crying need for religious teaching among all the poor people there, especially the young. And Marcellin Champagnat was a very practical man. When he had the experience of instructing a dying boy who knew nothing about God, he determined to find a way of teaching children, on a regular basis, about God and His love for them. He often said, Every time I see a child,I long to teach him his catechism, and help him know how much Jesus Christ loves him. Inspired by his ideal, Father Champagnat founded, on January 2, 1817, the lay institute of the Little Brothers of Mary, dedicated to the Christian education of young people, especially those most in need. He saw his Institute as a branch of the Society of Mary. 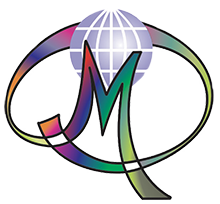 This Movement is an extension of the Marist Brothers Institute. It is a movement for people attracted to the spirituality of Father Marcellin Champagnat. In this Movement, affiliated members, young people, parents, helpers, former students, and friends, deepen within themselves the spirit of our founder; so that they can live it and let it shine forth. The Institute animates and co-ordinates the activities of this Movement by setting up appropriate structures. Members unite in small groups to share and nourish their common ideals. The internal life of each Champagnat Group is the responsibility of the members themselves. The Superior General of the Institute has the final responsibility for ensuring that the whole Movement remains faithful to the spirit and tradition of Father Champagnat. The Movement is open to any individual Christian who feels called to commit himself or herself to a closer following of Jesus, according to the spirituality of Blessed Marcellin Champagnat. To become a member of the Movement, a person makes a request to be admitted into one of the Groups. After a time of preparation, he or she is then accepted as a fully active member. Like Marcellin Champagnats own lifelong spirituality, the Movements spirituality is rooted in Gods love for all men and women. And it grows and gains its strength from the members gift of themselves to others. It is also Marial as well as apostolic, just as Father Champagnat summed it up in his motto: “All to Jesus through Mary”. §	enthusiasm for ones work. Blessed Champagnats spirituality can be a source of grace and guidance for lay persons whose mission is to help build the Kingdom of God among the people with whom they happen to live and work. Guided by the Holy Spirit, members of the Movement thus learn to follow Jesus more closely in His love for the Father, and for all men and women. Following Marcellins way, members recognise Mary as the perfect disciple of Christ, the woman of faith who is always alert to the word of God and ready to carry out his designs. Not only is she the model for each member, she is also the Good Mother who accompanies each member and his or her Group in their life journey of faith. From Mary also, members of the Movement learn simplicity of heart in their relations with God, their families, their fellow-members, and everyone around them throughout their daily lives. Together with that simplicity, Father Champagnat associated humility and modesty as the three characteristic ways for his followers to be like Mary. With that in mind, members of the Groups strive to do good quietly, and always rely on the constant help of her whom Blessed Champagnat called our Ordinary Resource. These words call those who belong to the Champagnat Movement to live a real bond of union and love, and to be open and welcoming to those who seek to join. Prayer is an essential element of membership in the Movement and within each Group. Furthermore, it links them to the Groups in the Movement, and indeed to the whole communion of saints, living and dead. It is important, for the ongoing vitality of the spiritual life and mission of the Group, that members be nourished by regularly sharing the Word of God together. In that way, the Gospels become a real Word of Life and Love, sustaining and guiding them at all times and in every situation. The celebration of the Eucharist together will be the source of special empowering and grace for all. And, of course, devotion to Mary, following Blessed Champagnats lifelong example, naturally finds a special place in the prayer of each Group. 12. Commitment to the Churchs mission. As Christians participating in the Churchs mission, and with the enthusiasm, faith and simplicity typical of Blessed Champagnats practical zeal, members of the Movement try to bring the love of Jesus and Mary to the people among whom they live and work. Each member carries out that mission, in the first place, by his or her own personal example of Gospel living, and by whatever action and word may be possible under the prevailing circumstances. Sometimes, a few members, or even a whole Group, may unite for a particular mission. Marcellin Champagnats model for his first communities was Marys home in Nazareth. He led his Brothers in La Valla, and later at the Hermitage and other places, to develop that Nazareth family spirit of love characterised by simplicity and trust, joy and self-forgetfulness, forgiveness and mutual help. Members of the Champagnat Movement foster the same kind of lively family spirit. Like the first Christian community (Acts 2, 42-47; 32-35), members share their human and spiritual gifts; and, when the Lord invites, even their material goods. The family spirit in the Group leads them not only to rejoice in the joys of individual members, but also to be especially supportive when sickness or other trials afflict one of their number. In faith and generosity, they decide together what can be done to help. A Group may sometimes go through its own periods of difficulty. At such times, each member strives to be a source of encouragement and a bond of communion. Like Blessed Champagnat, members are also sensitive to special needs around them, and try to work out practical ways of responding. They also seek lasting solutions to situations involving human suffering or injustice, whether these be local or in the world at large. Jesus, sent by the Father, is the source of every activity which is apostolic. Baptism and Confirmation empower with his spirit all the members of the Church to share in His mission and be His apostles revealing the face of God who is Love, Salvation, and the meaning of life to all men and women. Each Christian is called to carry out that mission among those with whom he or she lives and works. The apostolate of the laity is clearly an integral part of the mission of the whole Church. The Champagnat Movement leads its members to recognise and undertake the mission given to each one in baptism. That apostolic activity not only helps build Gods Kingdom on earth, it also fosters the spiritual growth of the members, and stimulates the spirit and vitality of the whole Group. Members see their families, the domestic Church, as their first field of apostolic love and action. They promote loving dialogue and sharing there, as a way to make love blossom. They give their own children a Christian education which includes teaching them concern for others. And they help them discover and follow the vocation to which each one is called by God. Sons and daughters of each family thus learn to foster harmony and unity in their home, and share with those living with them their youthful hopes and ideals. 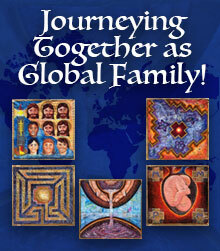 Family prayer strengthens family unity, and entrusts it to the love and care of Jesus and Mary. The Champagnat Group is another fruitful field for members to carry out their mission of love and service. In their trade or professional work, and their other social and secular activities, members of the Movement also follow Blessed Champagnats spirit by doing everything with honesty and solidarity, a spirit of service, and with courage born of faith. They try to live the Gospel values of Jesus within the framework of the cultural, social and political realities of their locality. In the midst of everything they do, they keep their focus on Christian formation and justice, with a particular concern for young people, the poor, and others most neglected by society. Many people are suffering and without hope: broken families, confused young people, abandoned children, and the like. Each member, and each Group, tries to offer as much help as is practical and possible, within the context of their circumstances. Following the tradition of Blessed Champagnat and his Marist Brothers, the Champagnat Movement Groups act in communion with their respective local churches, parish or diocese, and in collaboration with other Church movements and groups. There are special bonds uniting them to the branches and to other lay movements of the Society of Mary, who share the overall aim of leading people to Jesus through Mary. Conscious of the fact that If the Lord does not build the house, in vain do the builders labour (Ps.126), members of the Movement entrust their lives and mission to God in prayer, and learn to recognise His loving presence in all the events of their lives, even those most difficult or painful. If illness or old age does not allow some of them to perform any exterior apostolate, they can nevertheless share in the mission of the others through their prayers, and by offering their limitations and sufferings, in communion with Jesus and Mary on Calvary. Groups may commit themselves to the support of some overseas mission activity. Or one or several members of the Movement may be called by God to lay missionary service in one of the young Churches. This will enable such members or Groups to share the zealous missionary vision of Blessed Marcellin who said to his first Brothers: All the dioceses of the world enter into our designs. A person who joins the Champagnat Movement becomes a member of a small Group, which is the basic unit of the Movement, Each Group is autonomous in its own internal organization. It is Brother Provincial or District Superior of the Marist Brothers who officially recognises a Champagnat Movement Group in his region, or, if need be, withdraws such recognition. The major Superior may also appoint a Brother to be his liaison with the Movement, and see that its spiritual life is provided for adequately. As a general rule, the Group chooses one of its members to be the leader and animator who will serve the Group for a specified length of time. It is his or her responsibility to promote unity and participation in the Group, and to see to the smooth running of its regular meetings and other activities. The Leader is also charged with ensuring that the Groups relations with the local Brothers communities, and other Champagnat Movement Groups, are cordially maintained. As a living reality, the Champagnat Movement is concerned not only with new members, but, even more, with seeking to assure their ongoing Marist development and maturity, by offering them suitable means of formation. and the events of everyday life which are its primary resource. By sharing the spiritual heritage of Blessed Marcellin Champagnat, members of the Movement fulfil that vocation and mission, in the family of Mary, their special Mother and Model.